Today’s track is the site of the Ostrava Golden Spike meet, which is going on today. It is being held at Mestský Stadion. 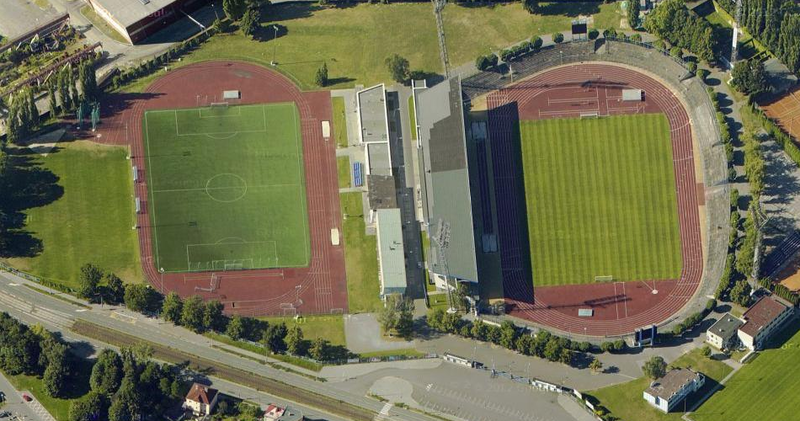 I was unable to find much info on this stadium, other than that the seating capacity is 5,000. I have to imagine that this is for the covered bleachers only, and does not include the area around the entire track. This looks like a typical European set-up for athletics. Some throws take place on the infield. There is an additional throws area outside. The long and triple jumps are outside the track here, but are right in front of the main bleachers, which is nice. And there is the warm-up track as well. The meet has been contested here since the early 1960’s and I’m guessing the stadium is much older than that.